Internet Protocol (IP) Multimedia Subsystem, popularly known as “IMS”, is built on Session Initiation Protocol (SIP) as the base to further support packaging of voice, video, data, fixed, and mobile services on a single platform to end users. 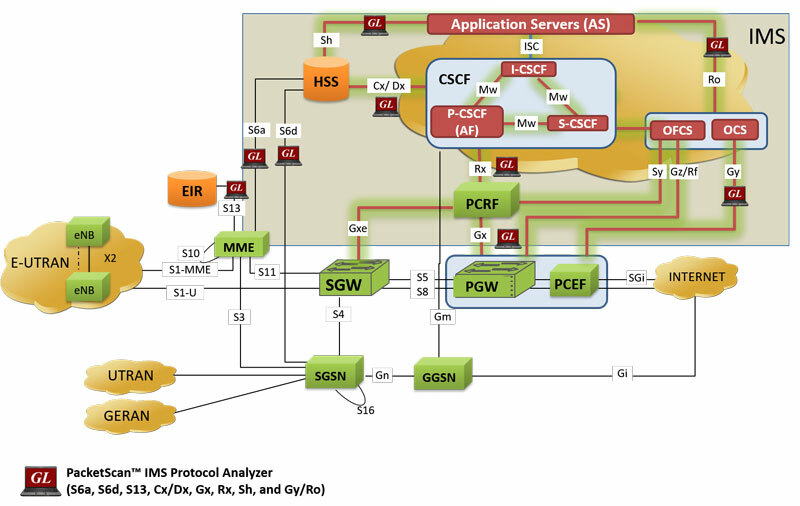 It provides a unique convergence platform for different types of networks – whether it is mobile, satellite, broadband, cable, and fixed networks, with a goal of building an efficient interoperating networks. 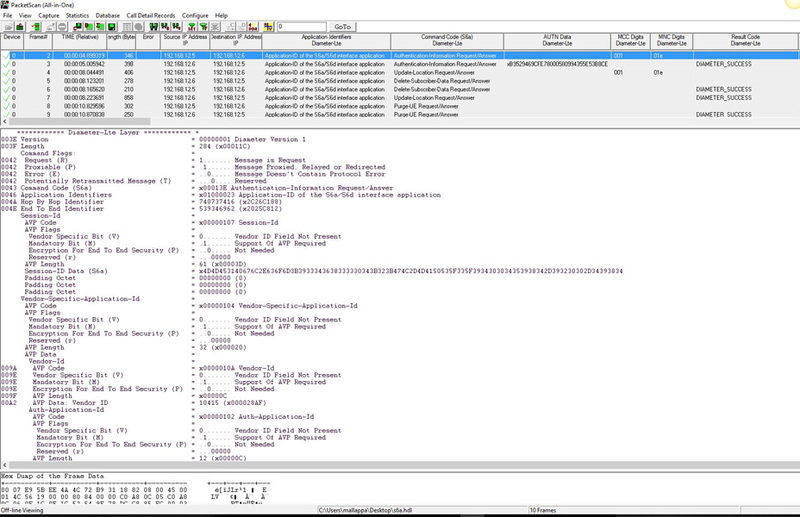 GL’s IMS Protocol Analyzer within PacketScan™-All IP Protocol Analyzer is capable of capturing, decoding and analysing all SIP packets used to setup sessions as well as the Diameter signalling used for accessing subscriber data and charging data on IMS networks. 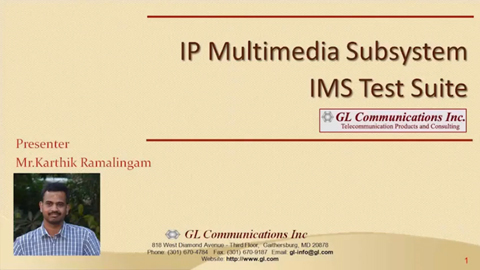 GL's IMS Protocol Analyzer is an optional module (PKV110) available with PacketScan™ analyzer (PKV100) or PacketScan™ HD analyser (PKV120/PKV122) upon additional licensing. 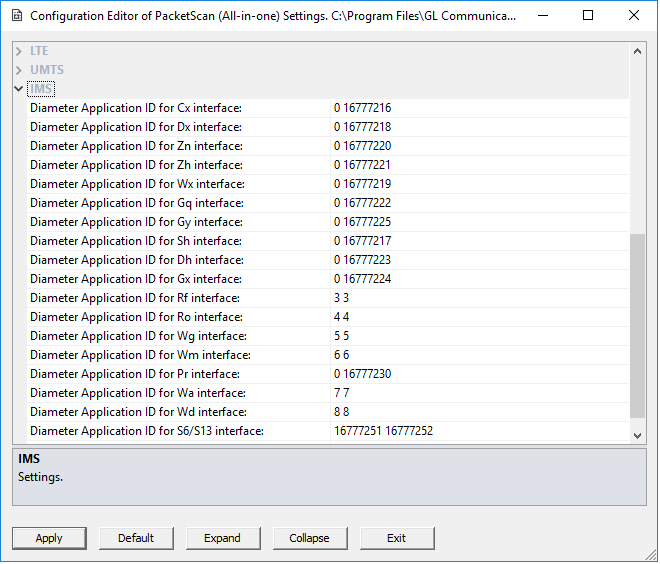 With this additional license, the PacketScan™ permits continuous monitoring of communication over IMS network over S6a, S6d, S13, Cx/Dx, Gx, Rx, Sh, Gy/Ro interfaces. Other interfaces such as Rf, Dh, Gq, Zh, Zn, Wa, Wd, Wx, Wm, Wg, Pr will also be supported by the application in near future. GL’s PacketScan™ - an All-IP monitoring and analysis probe, along with NetSurveyorWeb™ allows centralized monitoring of entire LTE-IMS network.